Chinese state-run CNOOC Ltd. is making plans for a huge new LNG project at Grassy Point on British Columbia's (BC) northern coast. 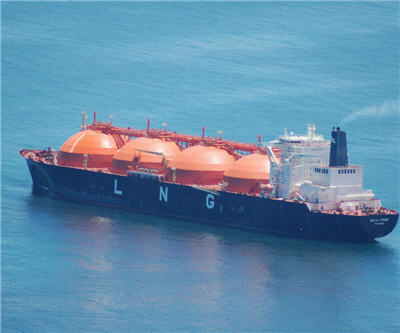 Nexen Inc., The Canadian subsidiary of CNOOC will apply to Canada's National Energy Board in order to export large quantities of LNG from BC to Asia Pacific: "24 million tonnes of super-cooled gas per year, or just over three billion cubic feet a day," the Vancouver Sun reports. If permission for the development is granted, exporting would start between 2021-2023. "CNOOC-owned Nexen secured exclusive rights with Japan’s Inpex Corp. and JGC Corp. to examine building an export plant on the isolated peninsula after paying the B.C. government a non-refundable $12-million deposit, edging out rival bids for the Crown land." "Its export filing comes as state-owned China Petrochemical Corp., or Sinopec, eyes a possible stake in another Canadian LNG project led by U.S. oil major Chevron Corp."